Marquess was signed as a free agent in January 2019. 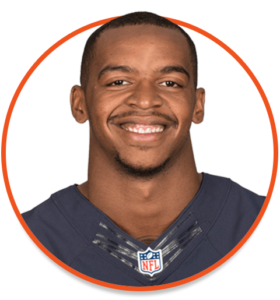 2013-2016: A seventh-round selection of the Chicago Bears in the 2013 NFL Draft, Marquess appeared in 31 regular season games over four seasons in Chicago recording 56 receptions for 777 yards and three touchdowns. Following his time with the Bears, he attended training camp with the New York Jets in 2017 and the Philadelphia Eagles in 2018. 2010-2012: Marquess attended Washington State and enjoyed a remarkable collegiate career over a three-year stay with the Cougars. Appearing in 33 games the California native hauled in 189 receptions for 3,207 yards and 23 touchdowns. The notable numbers earned him a second-team All-PAC-12 selection as a sophomore in 2011. His career receiving yards total remains second all-time in school history as does his season-high of 1,308 yards in 2011.